EMAIL MARILYN@WRITINGWOMENSLIVES.COM WITH ANY QUESTIONS ABOUT FUTURE OPPORTUNITIES. You are a woman who has an important story that you need to write and the world needs to read. You are ready to dive beneath the surface of your story and make sense of your life experiences both on the page and off the page. You have a writing dream. Yet something keeps holding you back. You work hard. You are committed. But the demands of everyday life make it difficult to prioritize your writing goals, to sustain your focus, to complete your writing projects with clarity and direction. Imagine working one-on-one with a writing coach who takes a holistic approach to your writing and your story within the context of your life and your personal history as a female. A writing coach who possesses a writer’s knowledge of craft AND a coach’s understanding of the internalized conditioning that women writers bump up against every time they sit down to write. Transform Your Writing, Transform Your Life Mentoring Program was created for women writers who want to live a conscious, creative, productive, and empowered writing life. This unique one-on-one mentoring program integrates the external “On the Page” writing work of craft, skill, and discipline with the internal “Off the Page” personal development work of uncovering and clearing the programmed mindsets and limiting beliefs that keep so many women writers from achieving their writing dreams. Why does the Transform Your Writing, Transform Your Life Mentoring Program include Personal Development and Consciousness Work as well as Craft Development? 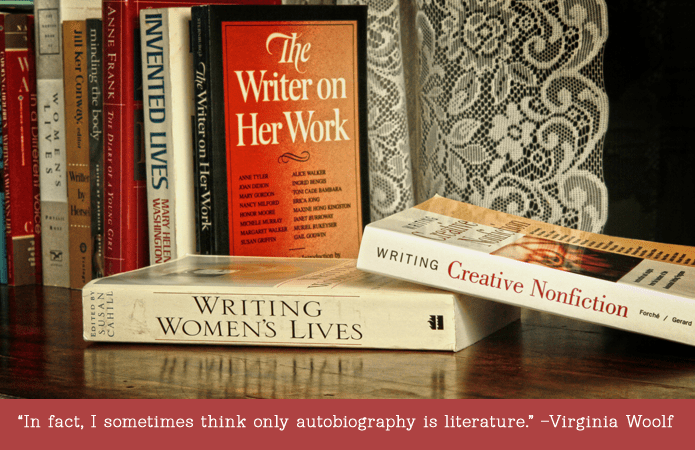 Writing memoir is an act of consciousness and self-discovery. It demands a working knowledge of craft as well as a deep understanding of your life experiences so that you can make sense of these experiences for your reader. The consciousness work you do off the page helps you to return to the page with renewed clarity about the material you are crafting. This frees you to be who you are on the page and to craft your story into a universal truth that speaks to others. Ready to Take “Center Page” in Your Writing and in Your Life? If you are done with silence and writing struggle, and you know that this is your time to finally write the story only you can write in your authentic voice, then schedule a strategy session with Marilyn. Click here to fill out a Strategy Session application form. Once I receive your application I will send you a link to my calendar, where you can book your session. Together we will discuss where your writing is now and how you can achieve your writing dreams. I look forward to hearing your writing story and to discovering who YOU are on the page.